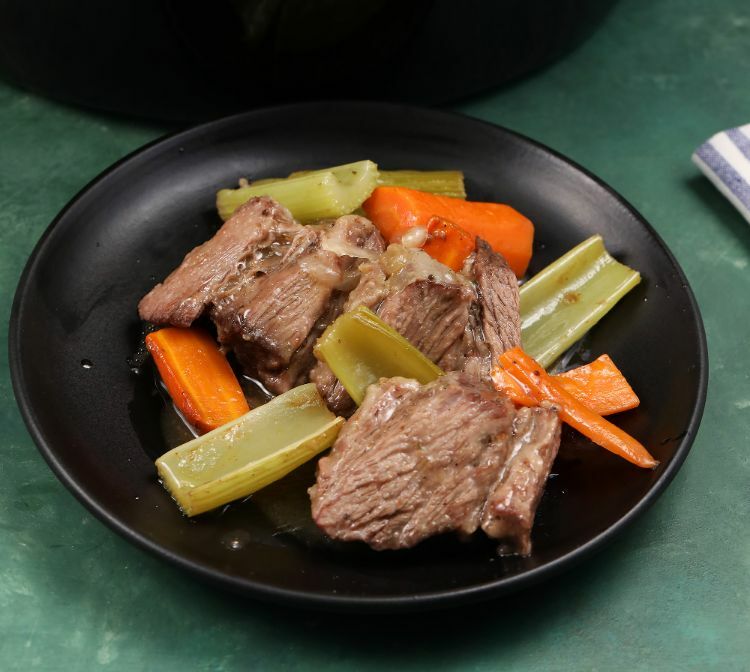 If you are a fan of pot roast recipes, you cannot go wrong with this easy slow cooker pot roast that just takes 10 minutes of prep. With just a few simple ingredients, you could be on your way to enjoying a delicious pot roast, made with the ease of a slow cooker! This particular recipe was designed with maximum convenience in mind. For instance, the gravy for the pot roast is made using seasoning packets. 1. Pat the chuck roast dry using paper towels. Season the roast on both sides with salt and pepper. 2. Roll the roast on a bed of flour, making sure all sides are well-coated. 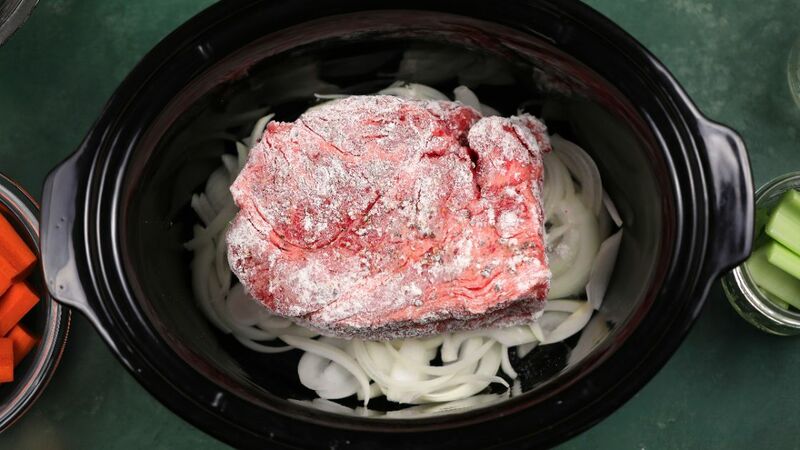 Place the floured roast on top of a bed of onions in a 6-quart slow cooker. 3. Whisk together seasoning packets in water until blended. Then pour mixture around the roast. Add carrots and celery. Pro tip: Use the drippings to make a gravy. Strain out the vegetables and pour the liquid from the roast into a saucepan over medium heat. In a small bowl, whisk 2 tablespoons of cornstarch with 1/4 cup of warm water until it is smooth. Pour the cornstarch into the saucepan with the drippings, whisking constantly until the gravy has thickened. How to make the perfect slow cooker Salisbury steak -- that gravy! This one has the best sauce. Lucky for you, we've got the perfect recipe that requires no grill and therefore no anxiety about cooking that perfect steak after a long day.